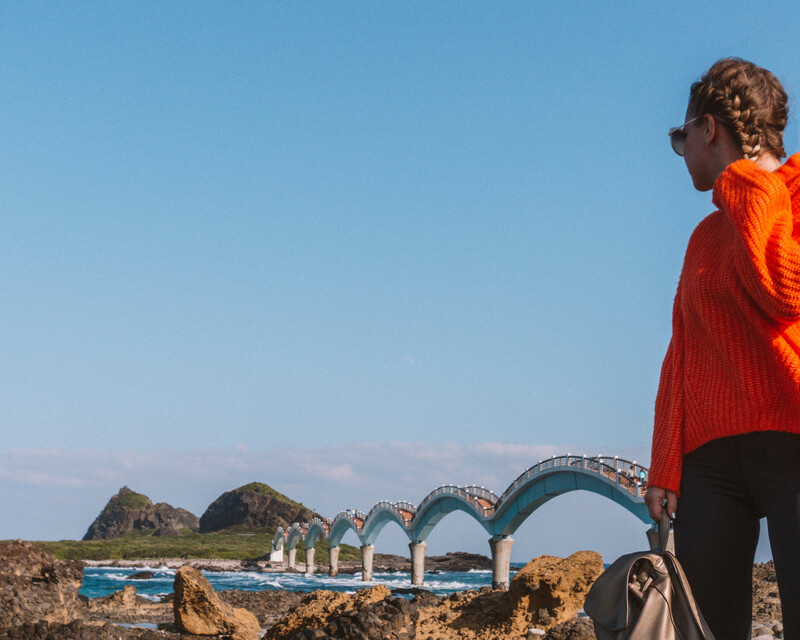 One of the coolest places we stopped on our day trip along Taiwan’s east coast was Sanxiantai island to see the iconic dragon bridge that connects it to the mainland. 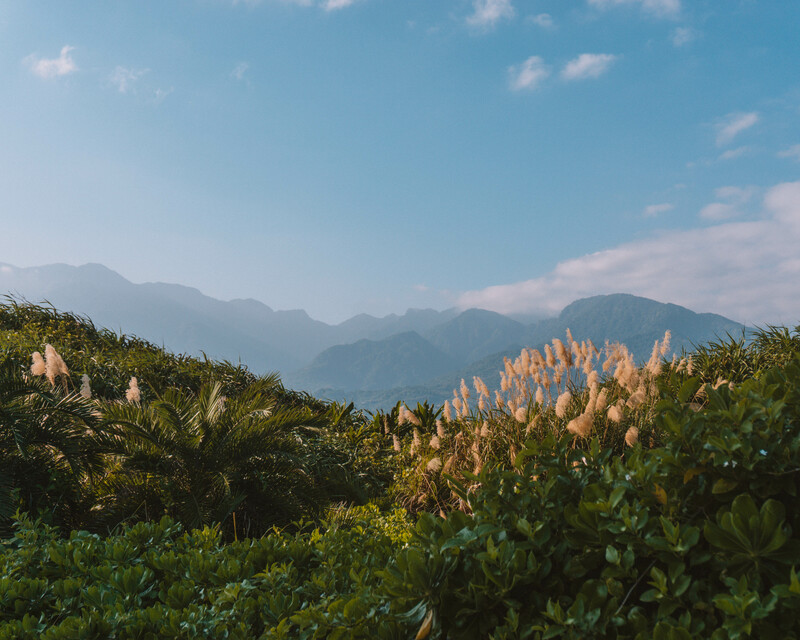 Here’s a little insight and how to see them for yourself during your trip to Taiwan. 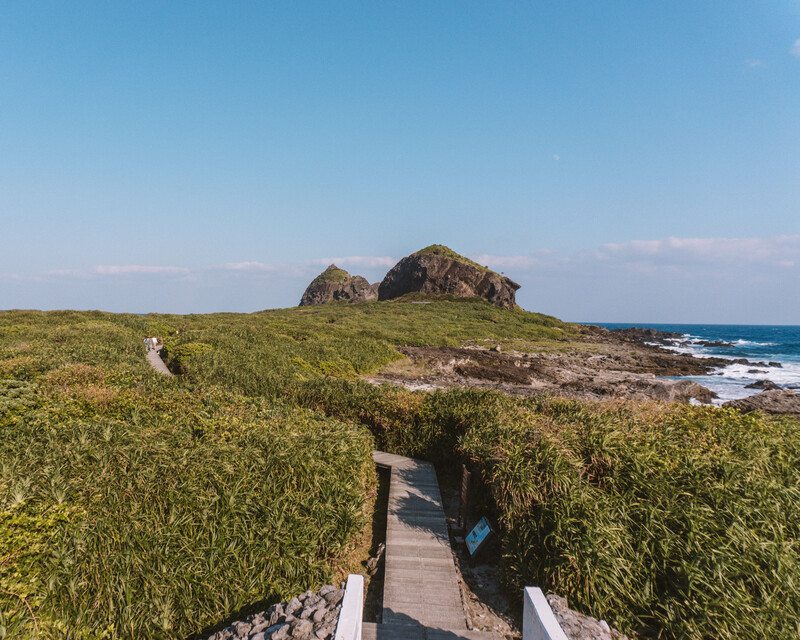 You used to only be able to visit Sanxiantai island at low tide, but in 1987 the government made it more accessible with the construction of a footbridge. Taiwan surprised me as a very artistic country, regularly pushing the boundaries with regards to design and Sanxiantai bridge is no exception. 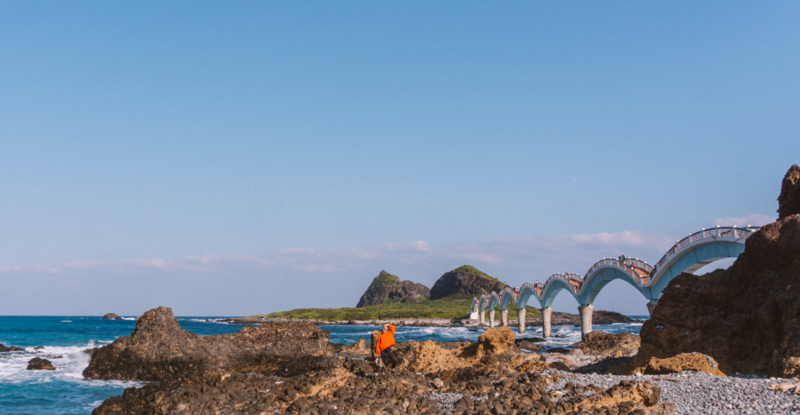 Shaped like a sea dragon with 8 majestic arches, the Sanxiantai bridge has become an iconic feature of the east coast of Taiwan. Despite its outlandish design, it fits right into the rugged nature of the rocky coast. Sanxiantai island, meaning the “island of 3 saints”, coins its name from a legend that three Chinese saints (Lyu-Dongbin, Li-Tieguai and He-Xiangu) landed on the island. It’s pretty tiny, only 22 hectares, but what it lacks in size it more than makes up for in ecology. The island is uninhabited and thanks to this lack of human activity on the island it has become extremely ecologically rich. It is clear the Taiwanese want to protect it’s rich ecology from tourism, having classified Sanxiantai island as a nature reserve. The only way to explore the island is on a raised boardwalk around the island, surrounded by overgrown, wild vegetation. Apparently the island is used to study coastal plants which doesn’t surprise me – it’s a biologists heaven. The full trail around the island is said to take 2 hours, with a lighthouse at the far end, but the full trail wasn’t open when we visited. The route that we were able to walk was less than 30 minutes, but beautiful nonetheless. 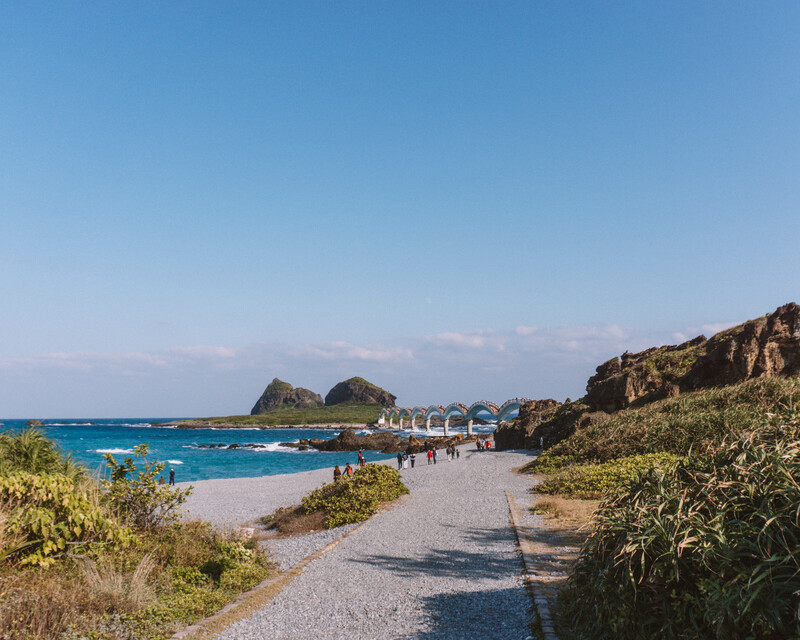 It is also said that the waters around Sanxiantai island are the most diverse and beautiful to explore in all of Taiwan, with coral reefs and tropical fish thriving in the turquoise blue waters. 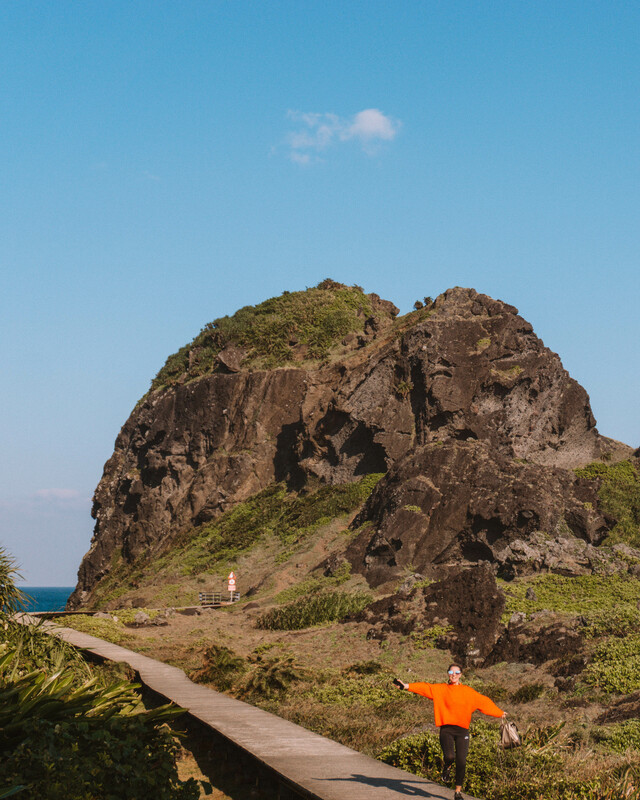 Sanxiantai island is found about 3km north of Chenggong town, in the Taitung region. 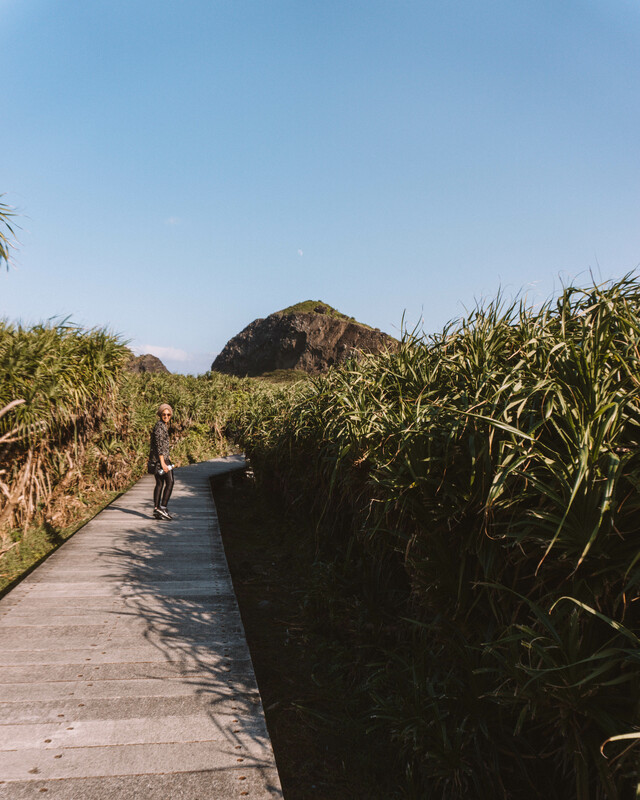 However visiting this nature reserve and funky bridge isn’t made easy due to the lack of public transport in this region – there isn’t an abundance of buses like the cities of Taiwan. It is possible to visit by bus but the timings and number of changes make it impractical and totally not worth it. 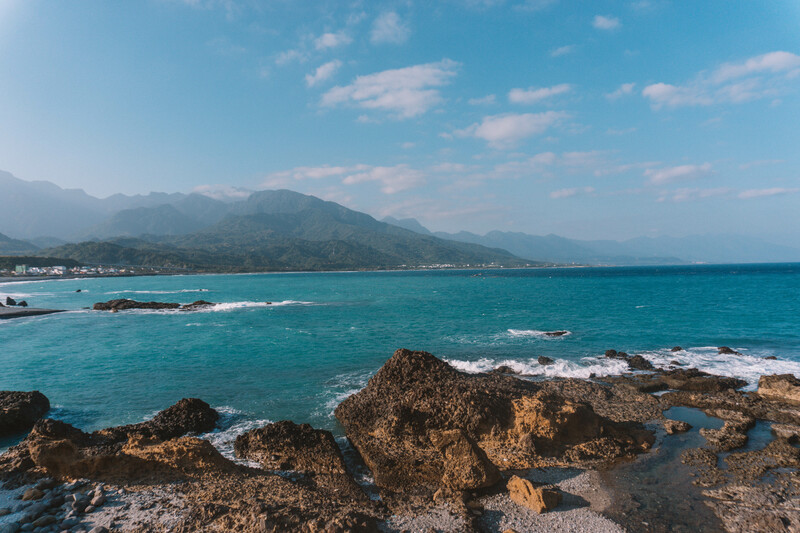 The best way to visit Sanxiantai island is to stay in Taitung city and hire a car to explore to east coast yourself. Taiwan is strict when it comes to requiring an International drivers license so make sure you have one if you want to road trip yourself. Unfortunately we didn’t have one with us, so had to resort to hiring a car AND driver which made the cost of our day trip up the east coast of Taiwan more expensive than it otherwise would have been. Time to get there: Just over 1 hour from Taitung city. We stopped along the way to hike and recommend combining the trip with other sites along the way. 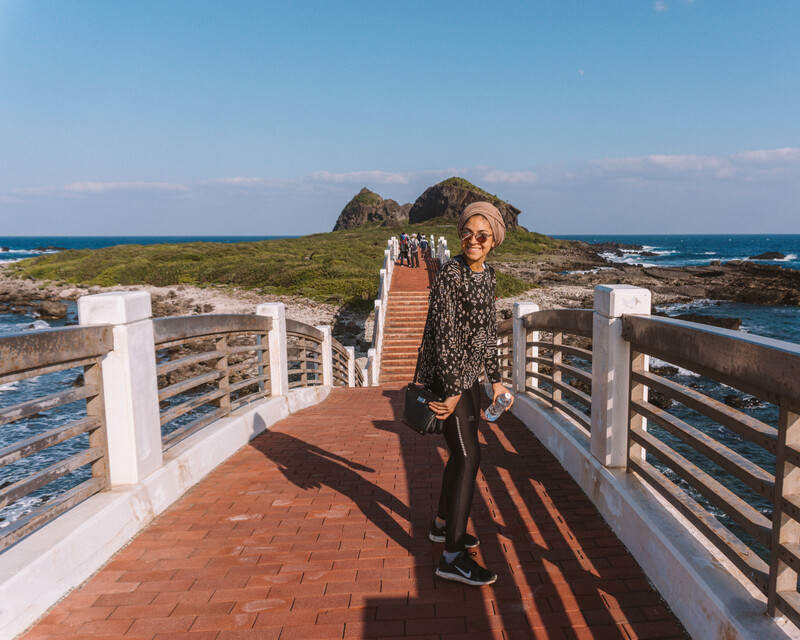 Sanxiantai Dragon Bridge has become a famous landmark, and is definitely not to be skipped on a road trip along the east coast of Taiwan.